Why your Nigerian Business can’t afford to miss Black Friday; and how to set it up on your Zoafia store. $25 billion! That’s how much Alibaba made in a single day. The ‘day’ being Singles Day ( the Chinese version of Black Friday). That’s a 40% increase from their sales last year. Amazon recorded $12 billion as revenue in a single Black Friday event last year. Walmart, Target, and Best Buy also recorded large numbers as well. 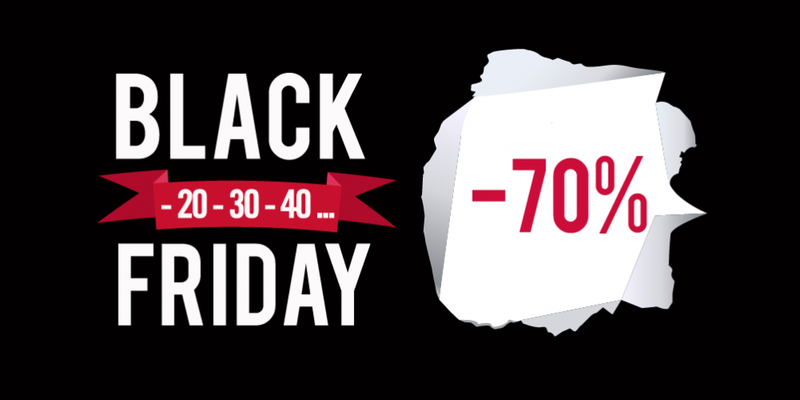 Big companies understand the importance of organizing a massive black Friday event. Apart from raking in the astonishing revenue numbers you just saw, Black Friday events allow them to fortify their customer base, propagate their brand further, grow new customer base and enhance the “feel good” feeling associated with their brand, all in just one day! But what is Black Friday? Back in the 1950’s, cops in the United States, specifically Philadelphia, started noticing the unusual traffic associated with the shopping spree people embark on during the holiday season. They noticed that a particular Friday, the last Friday in November, was especially characterized by people trying to get their holiday shopping done on time. This last Friday in November became informally referred to as “Black Friday” and the name stuck. But, it wasn’t until 2005 that brands started using Black Friday as a marketing strategy. Although it was just a United States thing at the time, the date’s closeness to the Christmas season coincided with when the rest of the world shop for Christmas and before long, it became a worldwide event. As brands all over the world would offer their loyal customers discounts to coincide with when they did their holiday shopping. In Nigeria, e-commerce companies like Jumia or Konga were the first to introduce Black Friday to Nigerians at a large scale. However, since it also coincides with when Nigerians (who celebrate Christmas) go to shop, these brands also record some of their largest sales numbers during that period. This is where your business comes in. Given the amazing benefits of Black Friday to brands, previously listed, it is a crime against your business to miss it. Heck! Even if all you do is scream “Black Friday!” to your neighbors and stick it on your store, you are guaranteed to make increased sales given its infancy in the Nigerian market. We think you should definitely give it a go and to help you get started, here are steps on how to create a Black Friday campaign on your Zoafia store. 1. Prepare, your stock. — Decide which items are going on your Black Friday flash sales. If you have stock expiring soon, this is the time to get them off the roster. Can you get an items cheaper and in bulk from your distributor? Put them on flash sales as well and slash the prices. Doing your mathematics on time and deciding which items are on sales will keep you on the right track for a successful campaign. 2. Engage a graphic designer. — Remember when I said, “…even if all you do is scream Black Friday”? well, how you do that online is with a big beautiful banner! With your logo and the letters “Black Friday sales” bold and creatively embellished on it! It’ll be smart to make several versions and sizes of that banner for Instagram, Facebook, Twitter and where ever your customers are! 3. Update your stock. — Go back into your Zoafia store and update your stock. Here’s how: having already decided which items should go on sales, go to “my products”, pick the product and click on the pencil icon to edit them. In the edit page scroll down and click the “on-sale” check-box. Add tags “black Friday” in the tags box. Under the “sale price” text-box, type in the new sales price and under the “sale finish date” select the date and time you want to finish your black Friday campaign and save all your changes. 4. Digital marketing — Now this is an important part, go back to your social media pages and post your awesome banners announcing your Black Friday flash sales! Keep posts about Black Friday consistent for the period of the sales. Give little rewards to your customers on your Zoafia store with little games and quizzes. For example, first to come gets this or that, first to buy every day gets one item free, first to buy after 12 noon…, first to guess when your business started…, first to guess your logo inspiration…, first to refer a friend…, etc. There are different kinds of giveaways you can do while running your black Friday sales. This will increase visits to your store which would, in effect, add considerably to your revenue. Watch your sales numbers increase! You can also make some advertising budget for the flash sales as well and redirect it to your Zoafia page. To help with this, Zoafia will announce the first batch of digital marketing partner-companies who will help you negotiate through all the digital marketing needs for your store soon. Watch this space! And with that, the odds are in your favor for a very successful Black Friday campaign! May the Force be with you! For the past week, we have been covering Black Friday nuggets and tips on our Social media handles.You should definitely checkout @zoafia_ng on Instagram. For any questions or inquiries about how to optimize your store for your Black Friday sales, Tomi is waiting to offer assistance on our Whatsapp Help Desk — +234(0)8103482531. We’ll be glad to help. Ps. 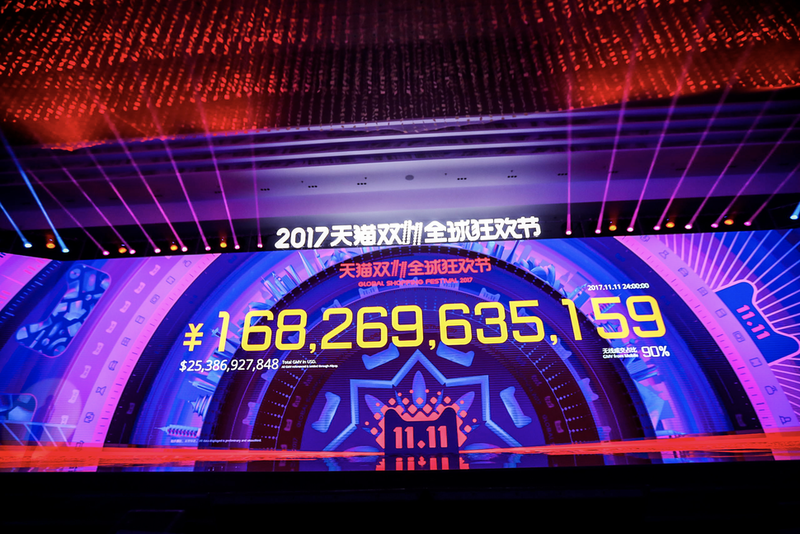 Alibaba just announced their 2018 figures for the singles day. They made $30 billion in sales. I’m at that juncture where business meets technology.